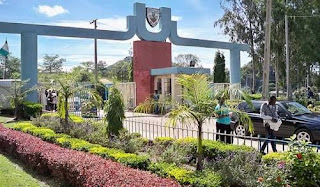 The University of Jos wishes to inform members of the public that the Admission List for the Four Undergraduate Programmes that could not be released alongside other Programmes in the University for the 2016/2017 Academic Session, have now been released. The Programmes are Biochemistry, Science Laboratory Technology, Medical Laboratory Science, History and International Studies, which were earlier denied accreditation, hence the delay in the release of the list of admitted candidates. Following the granting of accreditation to the Four Programmes as approved by the National Universities Commission (NUC), the Undergraduate admission process into the Programmes are now being concluded. Successful Candidates are to commence the registration process immediately using only approved channels as contained on the University website.